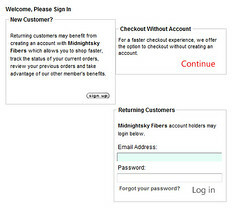 You may have noticed tons of changes happening at Midnightsky Fibers- the shop was even down for a couple days! It's all back up and running now though, and more awesome than ever! This is by far the most awesome change. 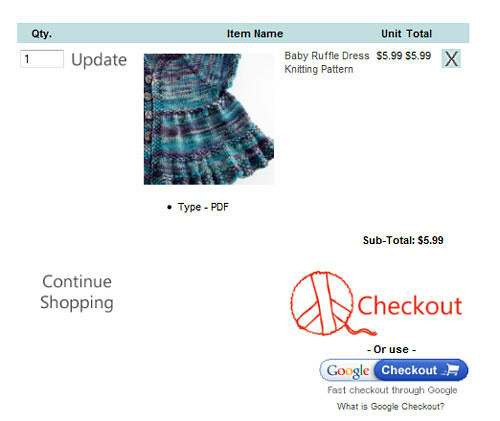 Google checkout! I have switched to using Google Checkout and Paypal (may add Amazon Payments at some point, let me know if that is something you would be interested in, I have the account all set up, just have to have someone set it up on my site!). This is a switch from the Paypal + a separate CC merchant I was using- but almost everyone paid via paypal anyways. You can also now check out without creating an account! 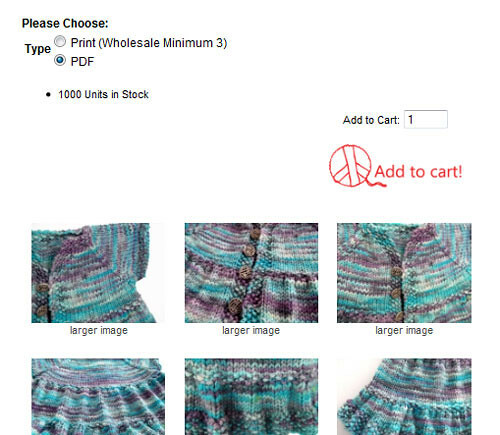 A typical product page- notice that you can now view PDF previews of the pattern! 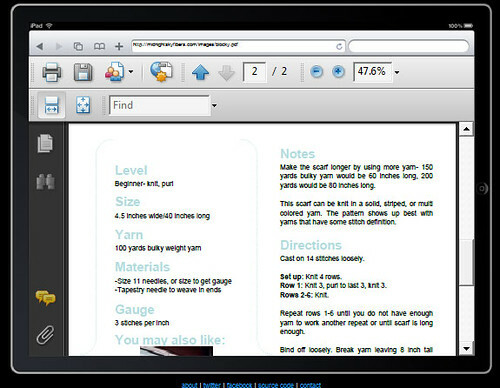 I am slowly adding this (and the option to buy the knitting patterns through Ravelry) to the patterns. Most of the new patterns and eBooks already have the previews up! Ok, this is something not exciting to anyone but me- but notice how the pictures all line up below the add to cart button? Yea, they didn't before. And the type was below the pics, so people didn't realize they had a print option.